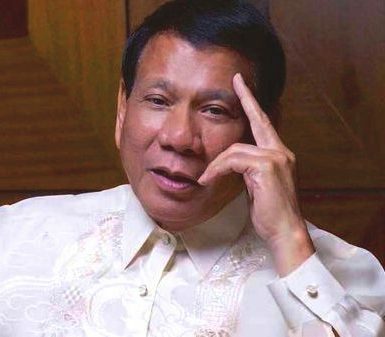 Manila: Rodrigo Duterte, Philippine President has used obscenity -filled outburst against the European Union in his recent reply to international disapproval for raising death toll in his vicious attack on crime. Duterte has used a rude sign showing insult, after the European Parliament destined “the current wave of extrajudicial enactment and killings in the Philippines”. He said they will get punish for their sin, told to local officials in his southern home city of Davao, these comments have been broadcasted late Tuesday by the ABS-CBN. Duterte, a 71 year old leader was talking abolish in claim to his drug war, was cursing the United Nations. In May Duterte won elections undertake to vanish the illegal drug trade in six months and guarantee that 100,000 criminals would be killed in the process. According to Police record, he joined office on 30 June, around 3,000 people have killed and third victim had shot by the police and remaining was murdered by the unknown attacker. On Sunday, Duterte said he would like to enlarge his crime war for another six months because the drug problem was not like ever before. Last week the EU parliament have said “they are anxious about extreme number of people were killed during police operations in order to intensify anti-crime and anti-drug campaign”. The EU resolution state that, Duterte must have to stop extrajudicial executions and killings and starts immediate carry out investigation. Choose among group France and Britain, Duterte said Member of Parliament were “hypocrites” whose colonial-era ancestors killed “thousands” of Arabs and other peoples. On Tuesday speech Duterte said he repeated a oath to defend police or soldiers from prosecution. He was taking to during a visit to a military camp to solders, no matters how many you killed and not to pardon as you have full political and civil rights.